The average debt of today’s American household stands at $5,700. According to data from the U.S. Census Bureau and the Federal Reserve Bank, the average debt for Americans who carry a credit card balance is $9,333. In fact, 41.2 percent of U.S. households carry some credit card debt, and the households with the lowest net worth carry an average of $10,308 of credit card debt. Estimates are that the total U.S. consumer debt is $3.9 trillion, with a total revolving debt of $1.03 trillion. The challenge for most households is addressing the additional interest costs that accompany credit card debt. Annual credit card interest rates are at an all-time high with an average of 17.41 percent—that means you pay an additional $17.41 for every $100 of debt on your credit card annually, and many credit card companies charge much more. By making the minimum credit card payment, you satisfy the credit card company, but you continue to accumulate even more debt because of compound interest. The concept of using a balance transfer to manage your debt is fairly simple. You are taking your outstanding credit card debt and transferring it to another credit card that charges little or no interest. The idea is that you are using a new credit card at interest to pay off the old credit card debt, which gives you a chance to pay down the principal on your outstanding credit card debt. To initiate a balance transfer, you sign up for your new credit card account online and request that a set amount be transferred from another credit card. You cannot exceed the credit limit of the new credit card, and the company issuing the card may limit the amount of debt you can transfer depending on your credit score and financial situation. It can take a few weeks to transfer the debt, so you should plan to continue to make payments on your old, high-interest credit card until you receive notification of the transfer. Also, be aware that you can’t typically transfer debt between credit cards issued by the same company. If you have debt on an American Express card, for example, you can’t use another American Express card for a balance transfer to pay it off. Before you undertake a balance transfer, it’s a good idea to get a handle on your current debt and understand how credit card payments work. Start with an inventory of your credit cards, including the outstanding balance and interest rate for each. If you pay the minimum amount on each credit card, your overall debt will increase, fast! Most credit card companies require only a minimum payment each month, but paying the minimum will cost a lot more and take a lot longer. For example, let’s assume you have a credit card debt of $6,081 on a card charging 14.99 percent interest, and you make the minimum payment each month, which is calculated as a percentage of your total balance due. You would accrue more than $4,000 in interest charges before you pay it off. If you double the minimum payment, you would accrue $1,509 in interest. If you added $100 to each minimum payment, the total interest accrued would be $1,409 by the time you paid off the card. If you are planning to use a balance transfer to pay off your credit card debt, you need to have a strategy. 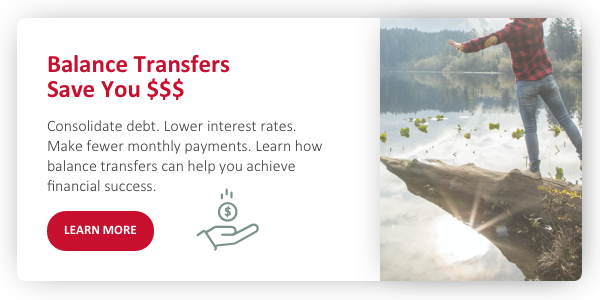 What is the balance transfer interest rate? Your new card will have a set interest rate on purchases, but it should handle balance transfers differently. Credit cards that are structured for balance transfers often offer a low rate on a transferred balance, which means you can freeze the amount of credit card debt in order to pay it off. How long is the offer? The reason to initiate a balance transfer is to pay down the principal on your credit card debt, so the longer you can get low interest rates, the better. Most card companies offer introductory rates for balance transfers, but only for a limited time; some cards let you carry the balance for six months, and some for a year or longer. Be sure you know the terms of the balance transfer offer. What fees are charged? Paying less interest on your outstanding balance is the goal, but there are often balance transfer fees as well. Most credit cards charge a percentage of the amount transferred. For example, if the fee is 3 percent, then you would pay $150 on a $5,000 balance transfer. There are some cards that do not charge a balance transfer fee, so depending on your credit card debt, it is worthwhile to shop around, and best to find a card with no balance transfer fees. What are the annual fees? 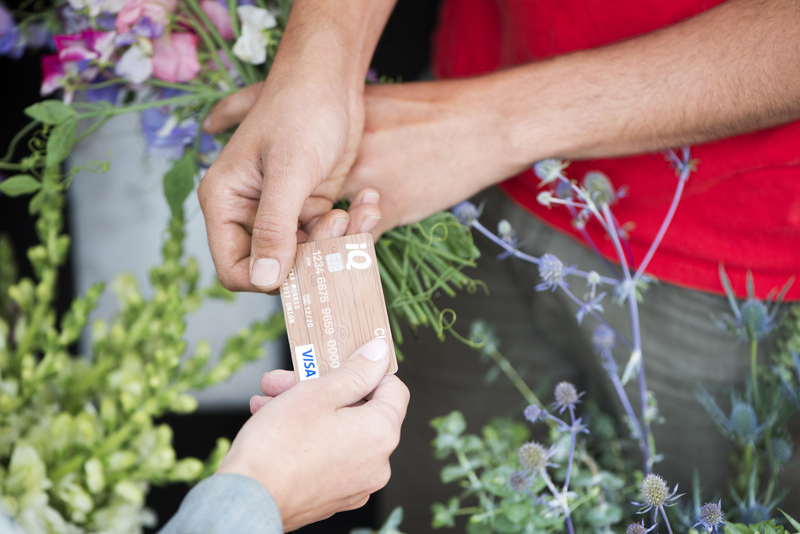 When possible, apply for a card that doesn’t charge an annual fee. Once you have initiated your balance transfer, you should have a strategy to pay down your debt. The two most common approaches are the snowball method and the avalanche method. To start, you have to take inventory of all your debt, such as car loans, student loans, and credit card debt, including the interest rates for each. Using the avalanche method, you make the minimum payments on all debts and pay extra money to the outstanding debt that has the highest interest rate until it is paid off, then tackle the next loan or card. With the snowball method, you pay off your debts one at a time by paying the smallest debt balance first, then moving to the next smallest balance. Many believe that the debt avalanche will save you the most time and money in the long run, while the debt snowball provides more of an incentive to pay down your debt. In the end, it doesn’t matter. What does matter is that you find the best way to tackle your debt to pay it off. In general, it works best to target one debt at a time and eliminate it, then move to the next one. Once you have made a balance transfer, consider focusing on paying down other debts, especially if you are paying zero interest on the transferred balance. If you can pay off the balance within six months. If your credit card debt is manageable and you are able to pay it off within half a year, then there is no reason to incur the fees associated with a balance transfer. You would do better to just pay off the debt. If you can’t pay your credit card bills on time. If you are consistently late with your credit card payments, then the penalties for payments associated with a balance transfer can add up. In fact, many card issuers will cancel a balance transfer promotion if you are late in paying, so you lose all the benefits of a balance transfer and have to pay the fees as well. If you have poor credit. Most institutions won’t consider your application for a balance transfer unless you have solid credit or they will simply charge you a much higher interest rate. If you aren’t disciplined in your spending. If you use a balance transfer offer to pay off existing credit card debt, that means that you suddenly have a line of credit available on the original card. That doesn’t mean you should rack up more debt. If you use the old card to accumulate more debt before you pay off the balance of the transferred debt, you will be in a deeper hole than when you began. Managing your debt doesn’t have to be complex, but it does require close attention. If you are not careful, your credit card debt can get out of control, and the rising interest on your credit card balance will mean you have less each month to pay your bills. A balance transfer might be exactly what you need to get your credit card debt under control. If you aren’t sure, ask your local credit union for help.